Actually, just the last two. 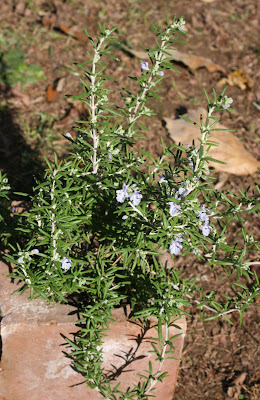 This week my Rosmarinus officinalis 'Prostratus' or Prostrate Rosemary began to flower. It is just starting but I think it is lovely. And I love the idea of a plant being "prostrate." It sounds so unplantlike. 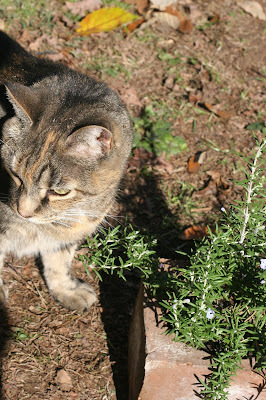 Djuna wandered outside to pose with the plant as she says she never gets to be in the blog. I told her I had antlers that were just her size and away she went! The halloween photo is halarious.